Can't wait for a doctor's appointment to get the healthcare you need? If your situation doesn't rise to the level of a major emergency, you may not want to risk a trip to an emergency room. Long lines, unanswered questions, and being pushed to the back of the line by more emergent patients. These issues can combine to make your visit to the emergency department a frustrating, lengthy, and ultimately expensive experience. 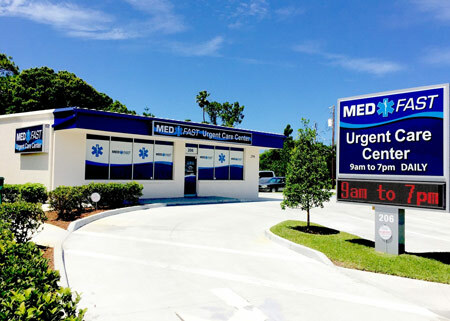 MedFast Urgent Care Centers offer fast, simple, and convenient treatment for of all your minor medical emergencies. Sometimes you have a condition that needs immediate attention, such as a laceration that will require stitches, or a broken finger or toe. Your situation isn't a true emergency, as it's not life-threatening. What this means is that if you go to an emergency room you will have to wait while other more serious cases are seen first. Regardless of how long you have been waiting, if someone with a more serious condition comes in, you'll be pushed to the back of the line. At the same time, there's no question that your condition is serious enough to warrant skipping the traditional route of seeing a doctor. When you need stitches you can't wait for days or weeks to get into the next appointment slot for your doctor. This gap—the gap between traditional doctor's visits and a trip to the emergency room—is where MedFast Urgent Care Centers comes into play. We are here for your minor emergencies, and we are much faster than a trip to the emergency room. We are a walk-in clinic, meaning that you don't have to have an appointment to get in. In fact, we don't set appointments. Just come in, and we will see you very quickly—many times in under an hour. In addition to the great convenience we offer, we tend to be much less expensive than a trip to an emergency room. When you visit an emergency room, you're visiting a part of a larger facility. This larger facility—the hospital—has a tremendous amount of overhead costs to address. What's more, they have expensive medical equipment to pay for. This means that your emergency room bill will be higher, as you are helping to subsidize all that costly equipment. In contrast, a walk-in clinic is only equipped to handle minor emergencies. This means we don't have to purchase and maintain some of the costly equipment that a hospital does. This, in turn, means a significantly lower bill for you when you come see us for your minor emergency. In spite of the fact that we are not a hospital, we maintain a staff consisting of licensed doctors and nurses. This means you never have to be concerned that the care you receive at our walk-in clinic will be anything less than the best. Some medical clinics—particularly those such as retail clinics—are not staffed by licensed doctors. Instead, they employ a lower level of medical professional to help keep their costs down. While this model works for the level of care they offer, for your minor emergency, you need to have a staff that includes a licensed doctor. We make sure that our staff are highly trained and maintain all the relevant licensing, certifications, and credentials as required by the law. We want you to know that when you come to us, we can offer you the best minor emergency care available. There are a number of things that set us apart from retail clinics. Generally, a minor emergency center will be able to provide a higher level of care than a retail clinic—although not a high of a level of care as a true emergency room. To this end, if you have a true emergency—something that, if not treated quickly and properly, could pose a risk of serious harm or even loss of life or limb—you should go to an emergency room. Having specified medical standards under which it conducts operations. As you can see, a true minor emergency center is equipped to handle most minor emergencies—those situations which, while requiring immediate attention, do not pose a risk of serious injury or illness or loss of limb or life. If you are suffering from a minor emergency, whether it's a cut that won't stop bleeding (but is not bleeding so heavily as to pose a risk of dying from blood loss), a minor break in a bone, a fracture, sprain, strain, or serious contusion, we can help. 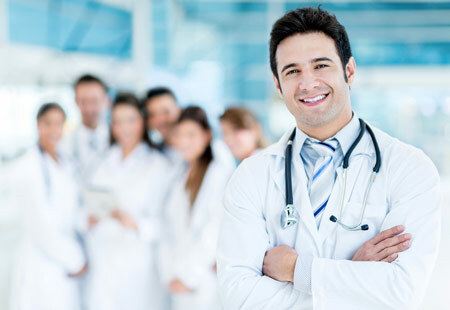 Likewise, if you are ill and need immediate attention such that you cannot wait to see a doctor during a scheduled appointment, we are here for you. If you have any questions as to what constitutes a minor emergency, we are happy to talk with you over the phone. Just give us a call and we will be happy to tell you if your condition is something that we can help you with. We're here for all your minor emergency needs!